Totally new material design featuring Lava Effect: the black surface turns a fiery hue when flexed. Toasty thermofleece adheres to your body like a second skin, creating a microclimate to keep you warm on even the longest rides. Realized with our GITevo, a shock absorbing performance chamois with Twist Gel Core, it features double layered ankle cuffs to keep it always in position and an ergonomic cut on the knee. 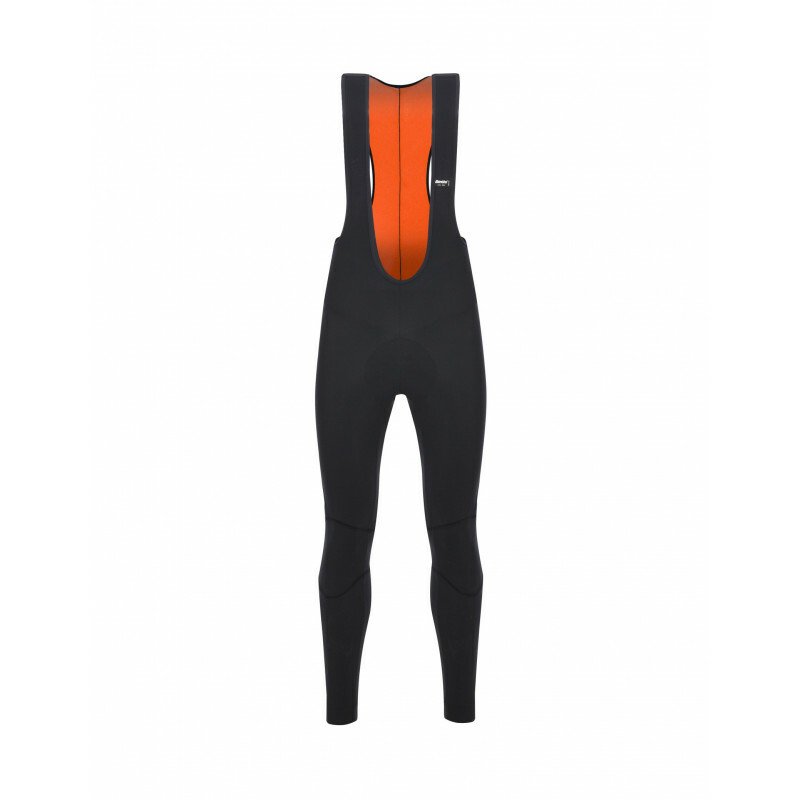 Hi-visibility reflective details at the bottom of the leg to ride even on the darkest road. 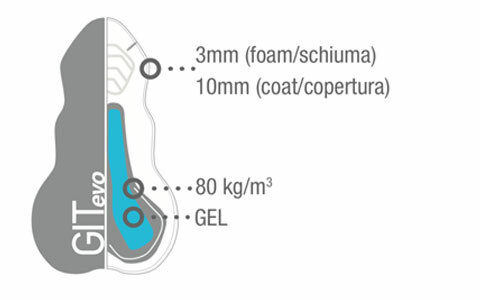 GITevo is our most versatile gel core chamois. All-round comfort for all types of riding. GITevo is the technological evolution of the original GIT chamois with Twist Gel silicone core that absorbs shock steadily and gradually. GITevo offers added performance with it’s new carved construction process that is able to create thicknesses without seams and stitching, reducing the weight and increasing the softness of the padding. Superbe cuissard tant esthétiquement que pour ces qualités hivernales. 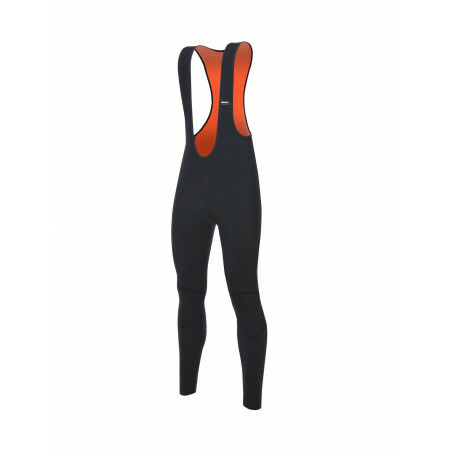 Super happy with the Lava Bib Tights, they feel very comfortable on +4h rides. Tested on cold / rainy 0-5*C days. Good snug fit, excellent warmth for temperatures below 10 C.. 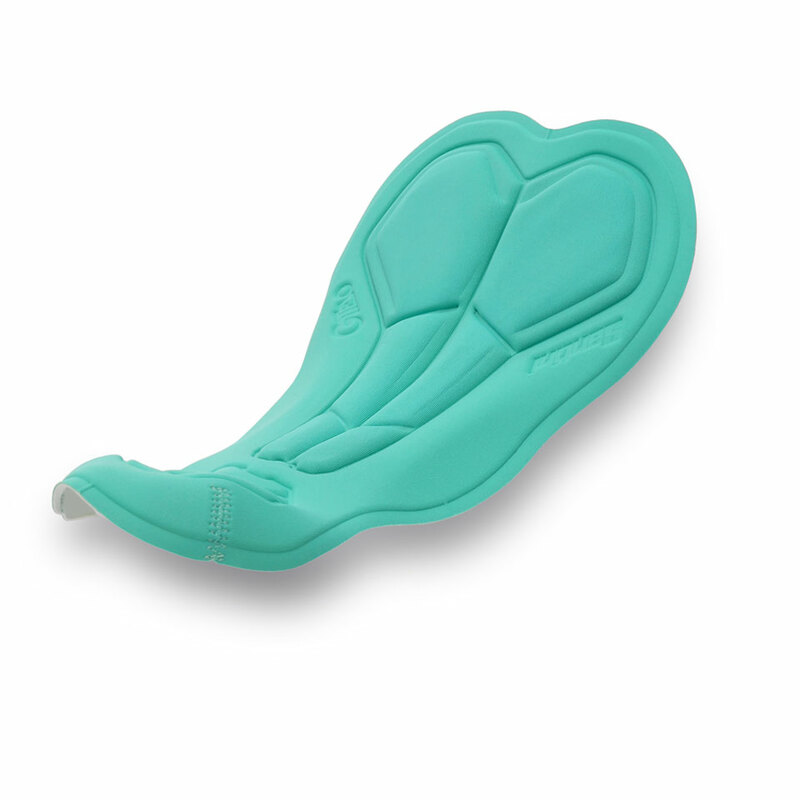 Excellent padding keeps me comfortable even after 4 hours in the saddle. very comfortable, fit me perfectly, I love it! Cuissard long chaud lors des sorties par 5*Deg et super confortable! 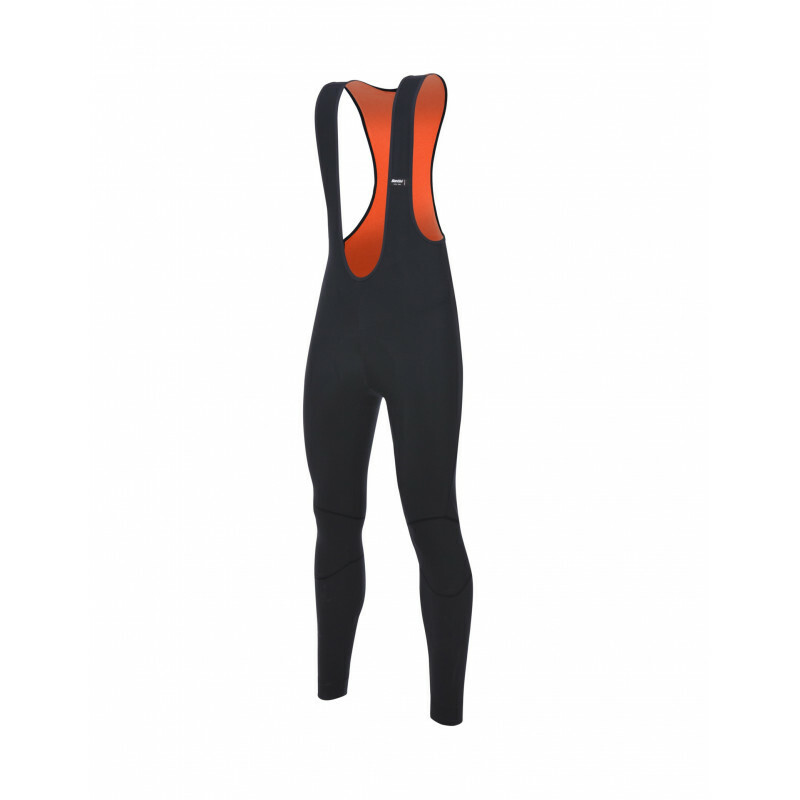 Love the Thermal Bib tights. They keep me warm on every ride long or short. Very high quality just like everything Santini makes. Perfect fit! 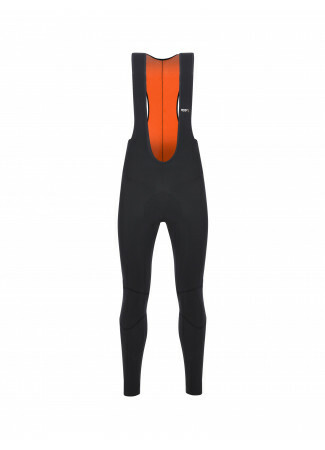 Tested it at around 10C and felt comfortably warm, almost did not feel wearing it. Good work, Santini. Good thermal insulation. Excellent for longest rides. Like your second skin. Calzamaglia dal taglio anatomico e dal tessuto caldo e morbido. Piacevole la colorazione dell'interno felpato che, quando si indossa il capo, esalta l'esterno con una leggera ombratura dal colore arancio. Perfetta vestibilità e aderenza al corpo. Utilizzata in periodi invernali tra i +5° e +10° fa egregiamente il suo dovere. Ottimo fondello che rimane inalterato anche dopo diversi lavaggi. Una delle migliori utilizzate. I like the slight flash of orange at every move you make. Very good fit true to size an very good crafted. For regular riders or hardy commuters who want more protection against the elements, the Lava - Thermal bib tights work a treat. Safe to say I was a little sceptical as to how successfully they would work but I have been won over. They are impressive in cold or wet conditions or both if you are unluckier enough to be out on days like that.